Located off David Low Way, next to Jack Morgan Park and only a short stroll to Coolum Beach, the Coolum Civic Centre is a large multi-functional facility that lends itself to a range of activities and events, from theatre productions and weddings to dance and fitness classes. The venue has a capacity of 350 people and is an ideal setting for your special event. The Air-Conditioned hall is supported by a stage, complete with a large backstage area, including change rooms, as well as audio and lighting infrastructure. There is also rear access to the stage, via the loading dock, ideal for loading live music equipment. The kitchen is fully equipped with domestic appliances, along with a large selection of crockery and cutlery. Adjacent to the foyer, the kitchen has a serving counter, great for serving pre-event drinks. In addition to the hall, there is a meeting room suitable for up to 20 people. There is limited parking on-site for up to approximately 30 vehicles and 2 designated disabled parking spaces. Large backstage area with 3 dressing rooms. Stage, with limited lighting and audio equipment. Male & Female toilets with change room & shower facilities. 4 wall hung fans and 1 large overhead fan. 300 piece crockery and cutlery set is available. 4 burner electric stove & oven. 20 litre stainless steel urn. Assorted kitchen items including chopping boards, utensils. Double stainless steel sink with instant hot water dispenser. Note: Hirer to provide their own cleaning products. Suits meetings for up to 20 people (use of hall chairs required). Ceiling fixed data projector and wall mounted screen (no extra charge). 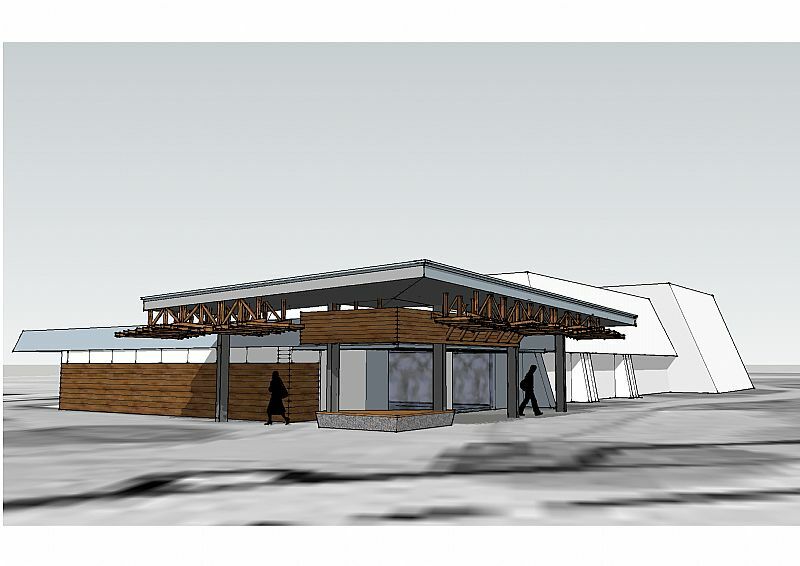 Sunshine Coast Council has unveiled the designs for a major upgrade to Coolum Civic Centre and surrounding parkland, and welcomed funding support from a local Community Bank branch of Bendigo Bank. Mayor Mark Jamieson said unveiling the designs marked a major milestone in the upgrade of the prominent 2.6 hectare district-level Jack Morgan Park. “It’s an exciting day for Coolum, as we show off the final designs for Stage One of the Jack Morgan Park and announce Bendigo Bank’s $50,000 contribution to the life of the project,” Mayor Jamieson said. 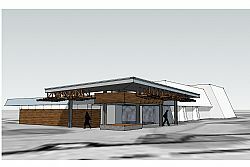 Division 9 Councillor Stephen Robinson said Stage 1 of the upgrade project would benefit visitors to Coolum Civic Centre and Coolum Library, and the wider community. “The community has formally identified this park as the civic heart of town and this project will transform it into a safe, functional, high quality public open space that is comfortable, accessible and visually appealing,” Cr Robinson said. “Locally, this project is going to be one of the most important Council initiatives since the Coolum Streetscape project – it will revitalise and reactivate this popular park. 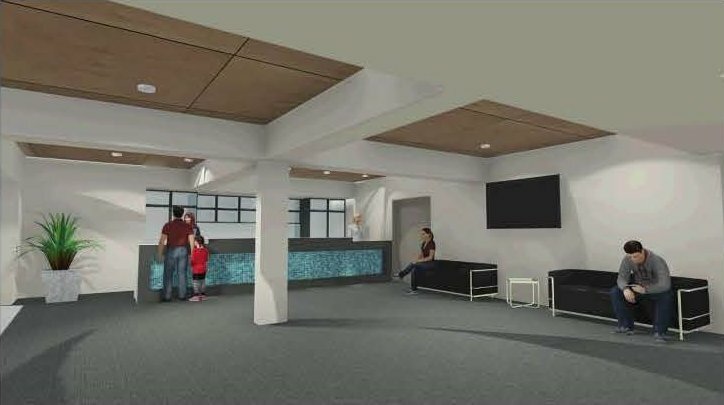 “Works will include internal and external renovations to the civic centre including the foyer, toilets, kitchen, meeting rooms and entry areas. “The access road and car parking areas will be improved, new footpaths will link the library to the civic centre, and new outdoor seating areas will be constructed. The upgrade also includes new trees, car park lighting, bike racks, way-finding signage, drainage and kerbing. Manager of the Marcoola Community Bank branch of Bendigo Bank, Judy Blackall said the decision to partner with council on the project was really one made by the North Shore community. “In 2012, we hosted community groups at the North Shore Community Centre who told us what they wanted to see for the future of this special part of the coast. They listed a number of projects including this one about to get underway at Jack Morgan Park – our largest contribution to a single project to date,” Judy said. “I’m proud to say this is the second project we’ve partnered with Sunshine Coast Council on, with the completion of the Marcoola Streetscape in 2014 being the first. Our branch was born from the dream of our community wanting its own bank. We look forward to working closely with council in the future as more locals realise that by banking with us the more we can give back, giving our communities a real say in their own future,” she added. Construction on the first stage of Jack Morgan Park Upgrade will start in May and is expected to be completed by August 2015, weather permitting. The Coolum Civic Centre, Coolum Library and Coolum Community Centre will remain open and fully operational during all works with traffic control in place where required. The upgrade and revitalisation of Jack Morgan Park is the latest stage of the Coolum Village Masterplan (2010). Council consulted with the community as part of the Masterplan’s development. A reconfiguration of the existing access road and car parking area will include a safer ‘drop off’ zone for vehicle passengers. It is worth noting the current number of car parking spaces within the precinct will not reduce as a result of these works. Additional stages of Jack Morgan Park Upgrade are planned for 2016-2019, subject to available funding. Once the overall upgrade of Jack Morgan Park is completed, it will be alternative outdoor recreation and event area to Tickle Park with the ability to host performances, street theatre and even a community garden.